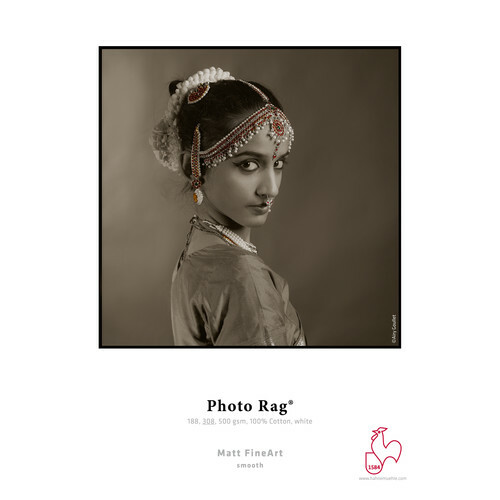 Sheet Size: 35 x 46.75"
This pack of 25 sheets of 35 x 46.75" Hahnemuhle Photo Rag Paper contains 100% cotton and is compatible with both pigment- and dye-based ink. The paper is archival quality and can be used for display, digital art, photography (both black and white as well as color), limited edition prints, and exhibitions. Box Dimensions (LxWxH) 51.0 x 36.0 x 1.0"